The Mora Smoothie fashion blog, DIY fashion by Paola Buonacara: Arsenale Vintage Market & Blogger Tour ! Have a cool weekend to everyone, what you gonna do today? 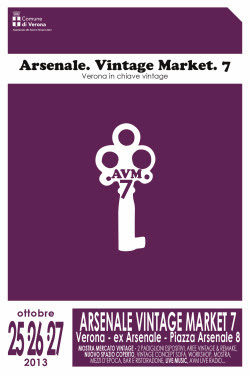 If you'll be in Verona don't forget to take a ride to Arsenale Vintage Market October 25 to 27, and you will not regret. The Arsenale Vintage Market this year is on its seventh year edition, with 40 professionals exhibitors of Fashion & Design Vintage, the best of Italy, and in addition to fashion and design you will find many things, workshops and events in a vintage style and a lot of music will accompany these days. And I will be there...!! Buon fine settimana a tutti, oggi cosa fate? Se siete a Verona fate un giro all' Arsenale Vintage Market dal 25 al 27 Ottobre, e non ve ne pentirete. 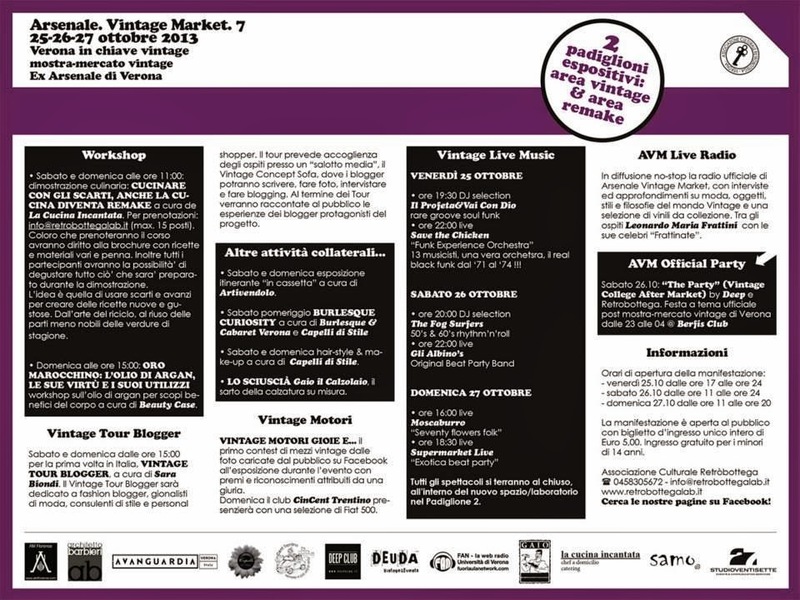 L' Arsenale Vintage Market quest' anno giunge alla settima edizione,con 40 espositori professionisti del settore Moda&Design Vintage, tra i migliori a livello nazionale, ed oltre alla moda ed il design potrete trovare tantissime cose,anche workshop ed eventi in stile vintage e tanta musica accompagnerà il tutto.